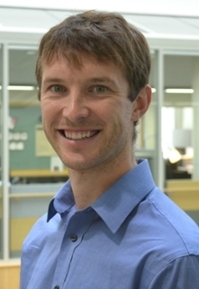 Christopher Farrar, a Ph.D. candidate in the lab of Professor Denise Hocking, has been awarded a Ruth L. Kirschstein National Research Service Award (NRSA) Individual Predoctoral Fellowship (F31) from the National Heart, Lung, and Blood Institute for his project entitled “Influence of extracellular matrix fibronectin on platelet-derived growth factor (PDGF) signaling”. PDGF is produced by a variety of different cell types and stimulates mesenchymal cell proliferation, migration, and gene expression. Together with fibronectin, PDGF plays an important role in angiogenesis and wound repair. In contrast, excess PDGF and abnormal fibronectin matrix deposition are linked to several diseases, including pulmonary fibrosis, atherosclerosis, and certain cancers. The focus of Chris’ project is to determine how mesenchymal cell adhesion to extracellular matrix fibronectin fibrils influences the ability of these cells to respond to PDGF, with the long-term goal of developing new treatment approaches to effectively regulate the sensitivity of cells to growth factor stimulation.